Theresa Payton Archives - Joelle Delbourgo Associates, Inc.
works with clients and colleagues to uncover strategic opportunities and identify new and emerging threats. Theresa began her career in financial services, where she coupled her deep understanding of technology systems with visionary leadership, executing complex IT strategies and winning new business. Following executive roles Bank of America and Wachovia, Theresa served as the first female chief information officer at the White House, overseeing IT operations for President George W. Bush and his staff. In 2015 Theresa was named a William J. Clinton distinguished lecturer by the Clinton School of Public Service. She is the author of several publications on IT strategy and cybersecurity and a frequent speaker on IT risk. 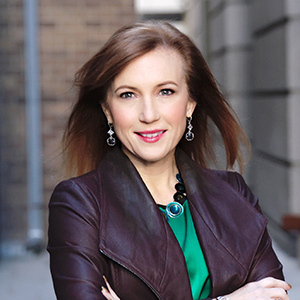 In 2014 she co-authored, with Ted Claypoole, the book Privacy in the Age of Big Data​: Recognizing Threats, Defending Your Rights, and Protecting Your Family (Rowman), which was subsequently featured on the Daily Show with John Stewart. In 2016, her book Protecting Your Internet Identity, 2nd edition, was released by Rowman. Among her numerous accolades and recognitions, Theresa was named one of the top 25 Most Influential People in Security by Security Magazine and One of Infosec’s Rising Stars and Hidden Gems by Tripwire. In 2005 she was honored as Charlotte, NC’s Woman of the Year.